Allora, a restaurant and rooftop skylounge offering guests and patrons a 360-degree, panoramic view of the city. 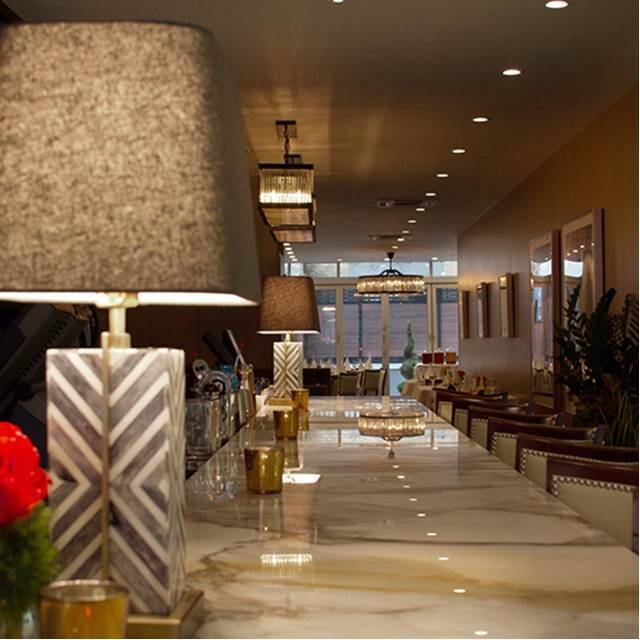 Outfitted with a carrera marble bar and herringbone floors, Allora transports diners to the spirit of old New York with a well-heeled twist. 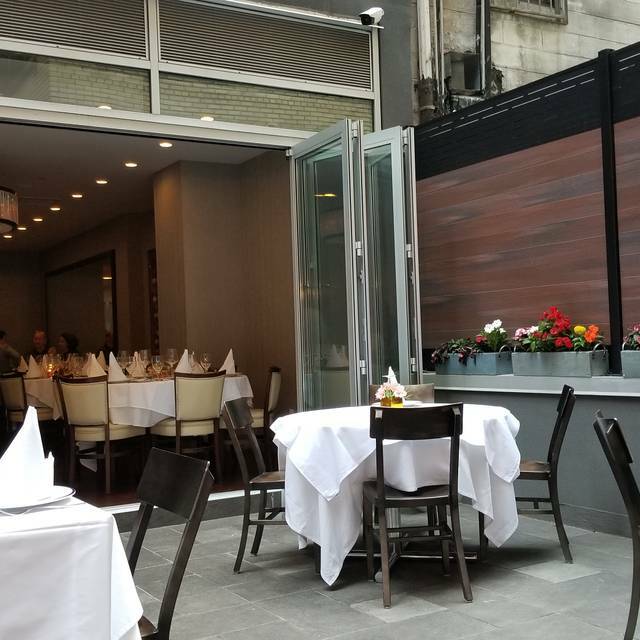 Allora's menu is rooted in Northern Italian-American specialties and offers a wide selection of homemade pasta, as well superior grass-fed steaks aged in house for 28 days and classic seafood dishes like Clams Oreganata. Other specialties include tableside preparations of old-school favorites like a traditional Caesar Salad, the "Godfather" Grilled Branzino, Flambées, Zabaglione, and more. In addition, over 30 off-menu seasonal specials like Pork Chop Etna and Kobe Beef Ravioli, will be offered nightly. 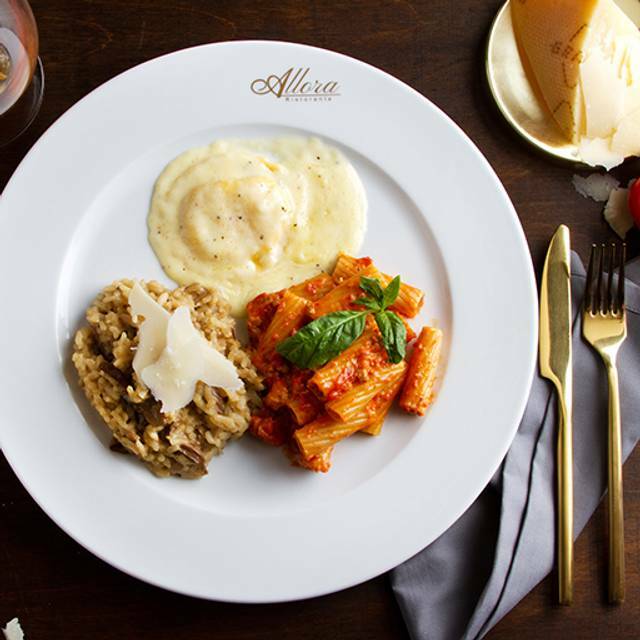 With a focus on traditional hospitality that emphasizes the diner's experience above all, Allora offers a taste of Gotham as it once was. 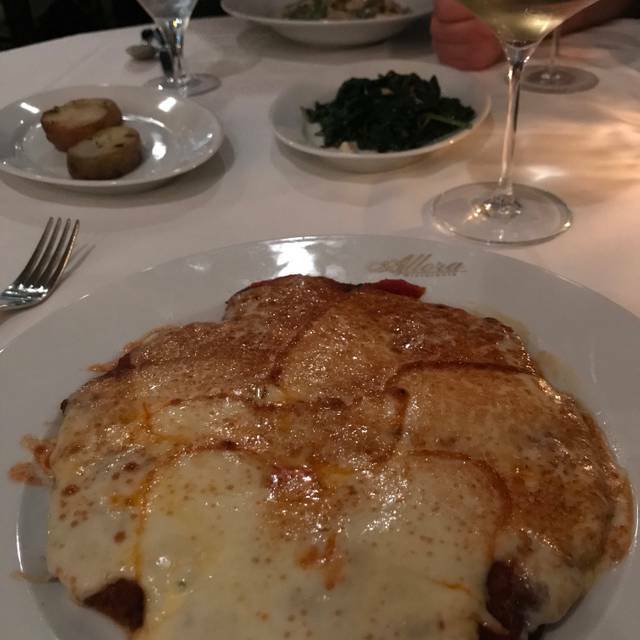 We never go to the same restaurant twice in NYC because there are just so many fabulous options BUT we will definitely return to Allora. The lobster ravoli was absolute perfection and the staff was attentive and joyful. We have raved to everyone! 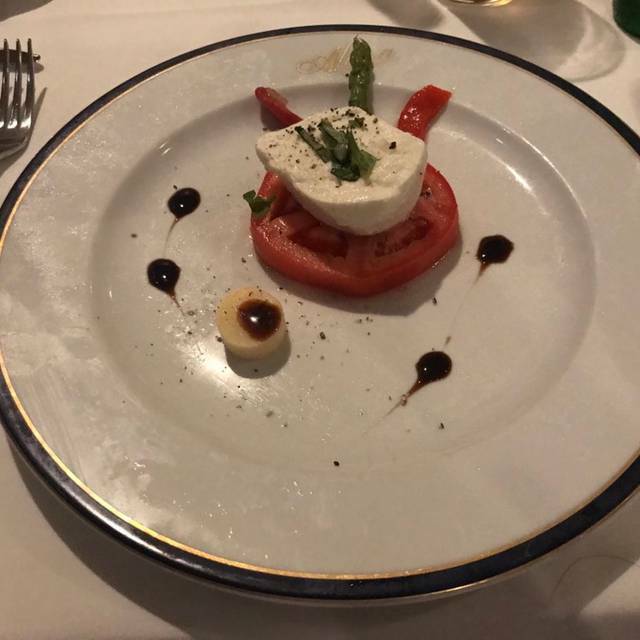 I found my new favorite Italian restaurant in NYC! I walked in and saw my friend from Accapella restaurant in Edgewater and ecstatic! Service is awesome - food is incredible and the limoncello after dinner drink was the best I’ve ever had. I’m your biggest fan and will be back again and again. The food was good but the prices were very high for what you actually received. I was a little disappointed in my dessert because it actually had a piece of a sharp plastic shard in it. When I told the waiter about it and showed it to him he seemed truly puzzled but he did take the dessert off the bill. The other waiter also added a different wine to my friends glass by mistake mixing a Pinot Grigio and a Riesling together. The restaurant is relatively small and although there are plenty of desks available inside but we were arranged to sit in a corridor. I really don't appreciate people passing by all the time. And the restroom is in the basement although it is nice and clean. Maybe the pasta makes it competitive but overall I don't think the experience worth the price. The service is average by the way. Wonderful dinner with table side service. 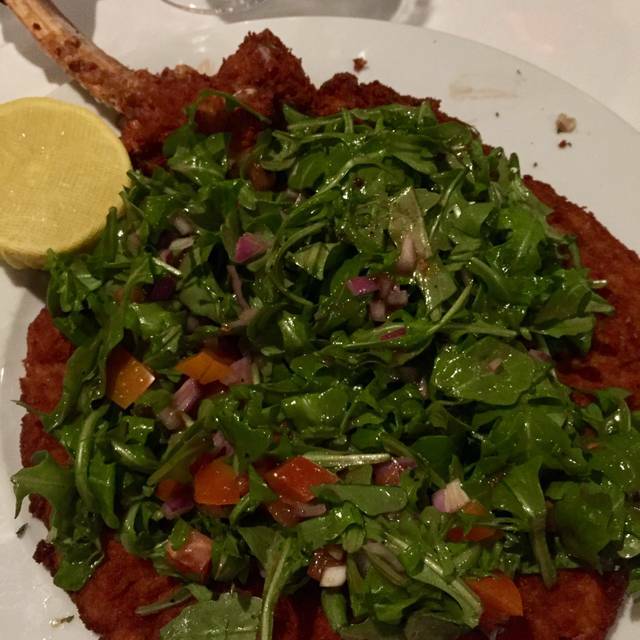 Monstrous veal parmigiana was terrific. Noise level a little higher than I expected but could still make myself heard. Wine selection was less extensive than I would have hoped but fairly priced. Would definitely return! Great meal with a great host. Seemed like everyone there knew the host. Everyone left happy thanking him for a great meal. Great place great service. Like the old style Italian restaurant. Loved this place. They aren't getting you out fast fur sure and they make you feel like family. Can't wait to go back. Food wasn’t anything special or unique. Tasted overcooked and the portions were so small. Every thing was great, there was a little wait because it was overbooked. Aside from that the food was delicious. The long spaghetti and meatballs was probably the best I've had. The people and the service were wonderful. I have been here twice and have had a good experience. However, took my wife here for Valentines dinner and experienced a number of mishaps. Service was very slow. Kitchen seemed overwhelmed. My wife Ordered the prix fix and they forgot to bring out the 2nd course and the dessert. Had to ask for it ourselves and they were all rushing around trying to get patrons out as seemed the delay in service resulted in long wait lines. I ordered the rib eye which was very good. 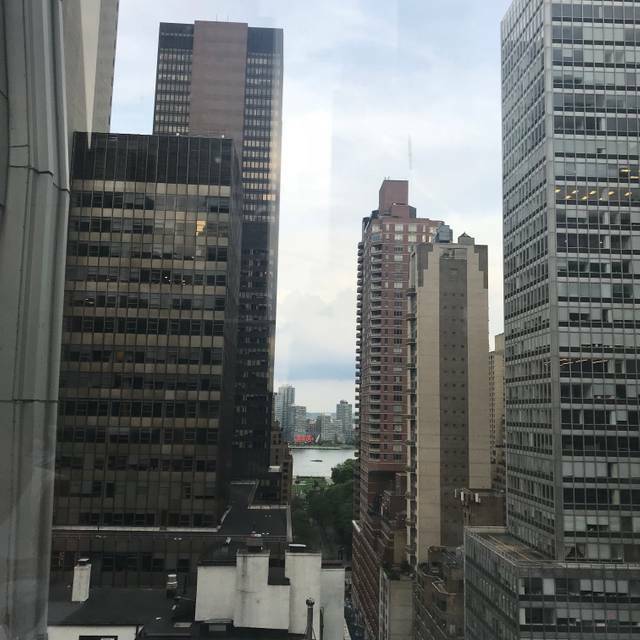 Excellent and very attentive service! Great specials as well as their standard menu. Good service and delicious food. This was y third visit to Allora. The food once again was quite good. The service is excellent with staff readily available to provide anything that you need. 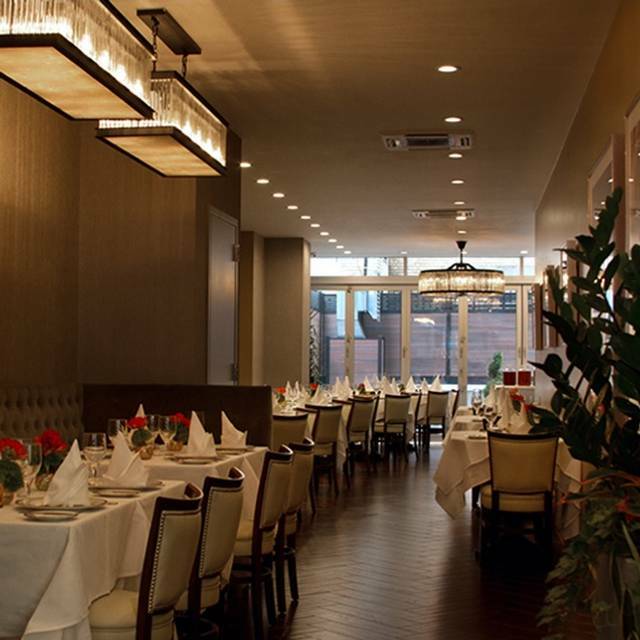 Fabulous fabulous atmosphere, delicious food with wide variety on the menu. Service is impeccable. No better place to go than Allora. The food and the service we're wonderful. The staff made you feel very welcome and all the dishes we had we're so delicious. I highly recommend this restaurant. Incredible staff and really awesome experience. We found it accidentally and now we are regulars. The food is amazing and it’s totally kid friendly. Worth it. There are not enough words to describe how wonderful a restaurant Allora is. Food, service, ambiance, everything they do is done to a "T". Highly recommend to everyone. As always I had a fantastic time at Allora! Nowhere else can you have lamb chops prepared table side and a 30 ft long strand of pasta cut with a scissor! It’s an incredible experience and I will be returning! We live Allora! The atmosphere, service and especially the food are all top notch! Service was, perhaps, *too* attentive. We felt rushed from the minute we arrived until the moment we left. But the food and ambience were great. The entree’s were good but the service left a lot to be desired. After waiting 30 minutes past our reservation, We were given cold bread with no butter. The website said that Caesar salad would be prepared at the table. What we got were very small salads with warm limp lettuce and almost no dressing for $18. The table was cramped I never saw the ambience that we were expecting from looking at the website. Very disappointing. No point in making a reservation they do follow them and servers are not very friendly. On the better side the good is great and the manager gave us two complementary desserts. First and last time at this restaurant. As a chef and restaurant owner I was very disappointed. The staff seams like they didn’t want be there, the server that came to our table was rude when I was asking for the wine. Food was not good at all. Didn’t have a place to check our registration so we just stood and waited? Finally got a seat at the bar! Well worth the wait- food was awesome! Typical NYC restaurant, kind of crammed together but that is the ambience of City dining. Outstanding food and terrific service. Lobster ravioli with pesto sauce was wonderful as were the chicken dishes. Checked in for a reservation and they didn't take us until an hour later. They also didn't take names with reservations so were just sitting first come, first serve based on honor system of believing you had a reservation. No tables were previously held for the reservations. A party of 15 checked in for their reservation which they forgot about (since they don't look at reservations) so that resulted in us losing our table. They then tried to put us at the bar and then offered us a table that was in their walkway which resulted in waiters hitting my friend in the head multiple times! It was a mess! They did offer us wine and a free app but that did not make up for the ridiculousness that we had prior. They need to understand what a reservation is, meaning actually hold tables and check in names. These mistakes are easily avoidable. Really stinks because this place is very convenient for the group of friends I was with so could have been a place we frequented. For starters, we had to wait for 30+ minutes at 830pm for a table even though we had a reservation through open table and there were tables available. The staff seemed to ignore us for the first 15 minutes that we were there waiting for the table, and even though we sat waiting at the bar, no one asked if we wanted a drink. I don’t really think they were understaffed, but thy may have been given how long it took us to get a table. There seemed to be several big family/work groups there that were very very noisy - it would have otherwise been a more romantic dinner given the candlelight and ambiance. Food was very good - and our server was nice, but it was hard to hear the specials due to his thick Italian accent and the noise level. Also the wine list was a bit disappointing for wine by the glass - would have liked to seen more offered. At the end of the night, the dinner left us wanting more. Even though the noise was a problem, i didn’t let it affect the rating above... I still think they could have done better with attentiveness and service at the beginning. Very nice looking place. Food was just ok and the service was off. $36 bucks for some water? Too expensive for what it was. Elio is amazing! Phenomenal experience and amazing food! One thing is the bread and cheese and butter served first was such a let down I really hope they could improve that, because the main dishes were absolutely stunning! When we got the bread cold and stiff, cheese powdery and bland we really thought the meal is going to be terrible. Turned out all the dishes we ordered were terrific. Dining is an overall experience, something minor might ruin the entire experience. The breads were free of charge, but they deserve the same attention. 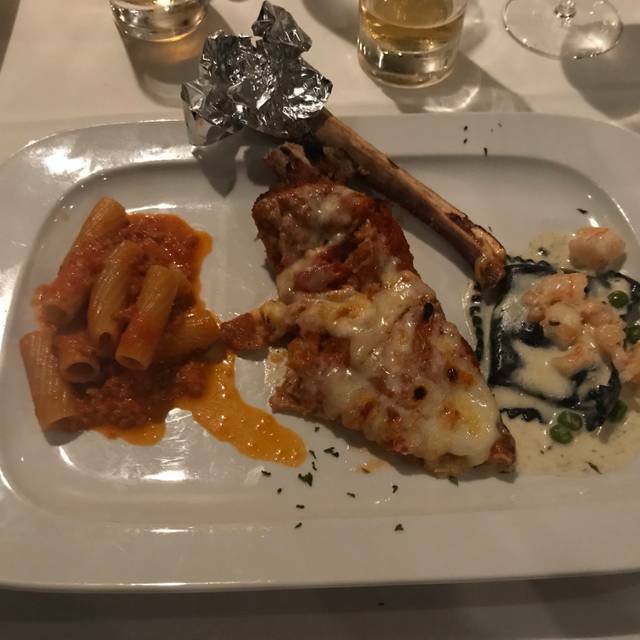 Excellent Italian food. Very good service. Great atmosphere and ambience.